I love mine, we refer to him as "little man". I found him at home goods! I love them too!!! and have my eye open for one as well....Funny because my husband has one in his library and ever since we got married I wanted to hide that thing....and now I have gotten so used to her...and actually want to steal it! 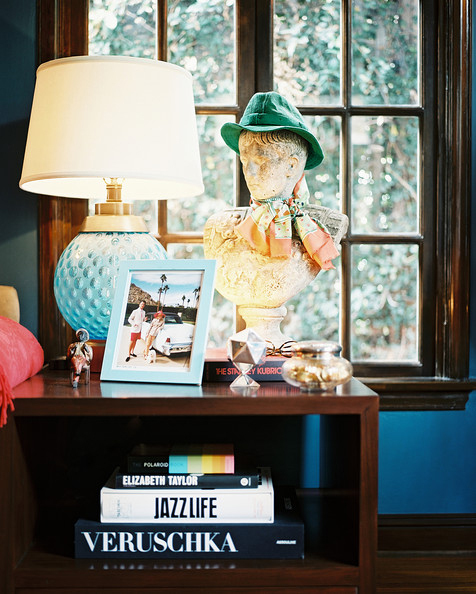 I totally agree, the decorative busts are such a great idea to add a traditional touch to a modern decor. And they are so practical, too! I love the bust from your local store - so unique and original! I've been wanting one too, but have hard time finding one that wouldn't scare me in the middle of the night when I walk through my house to get some water - they can be really frightening! 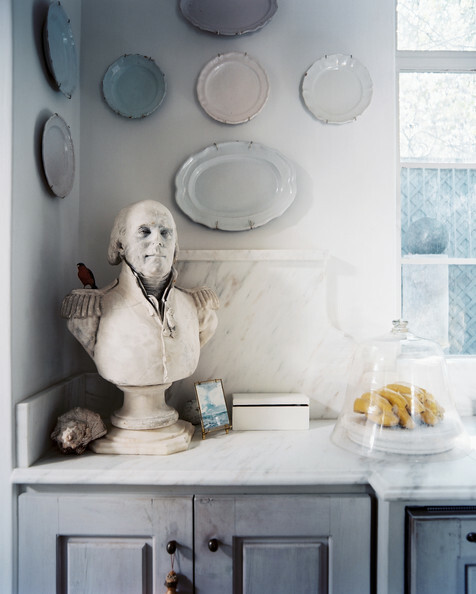 Busts are one of my favourite decorative elements. My style used to be purely traditional, but as I get older I prefer a mix of modern and traditional. 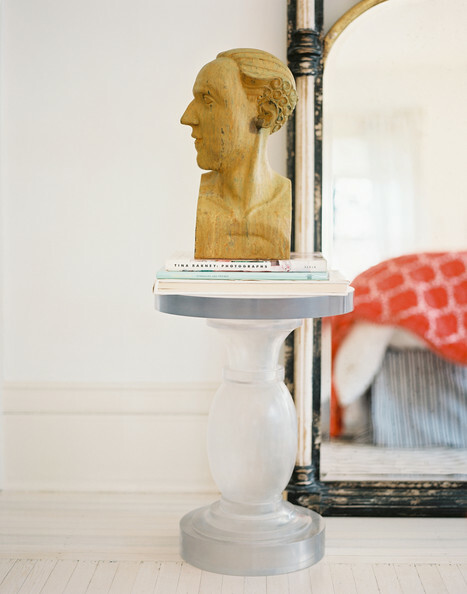 I have three busts (two human, one animal) already, but am always on the lookout for more. 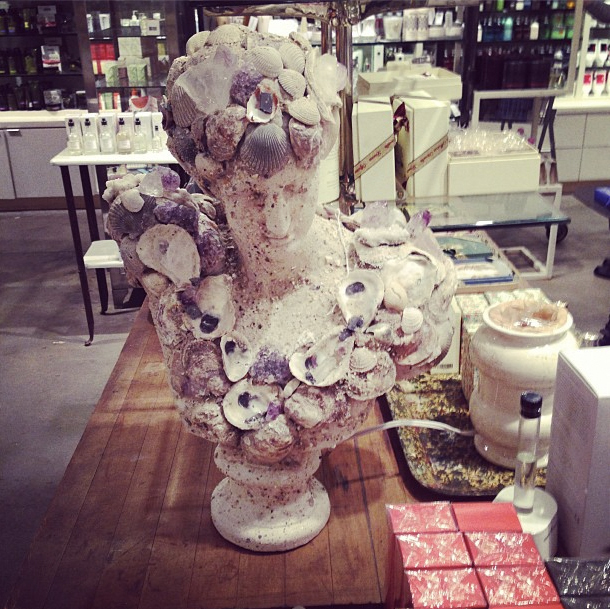 I absolutely adore your Lady of the Seashells - it must have been tough to have to leave her in the store! I love them! I would love to place one in a really regal dining room on a pedestal. I think you should definitely get one -- it would go so well in your home. I've actually been on the hunt for the perfect one for my fireplace! I wanted a vintage one that I could paint the lips pink. I have one from my Nana and I love it! I love this trend, I actually posted about it not too long ago! World Market and Etsy have some super affordable options!! LOve all of your inspiration pics! Once in a blue moon, a weird bust will turn up where you least expect - like a TJ Maxx. I love this look! 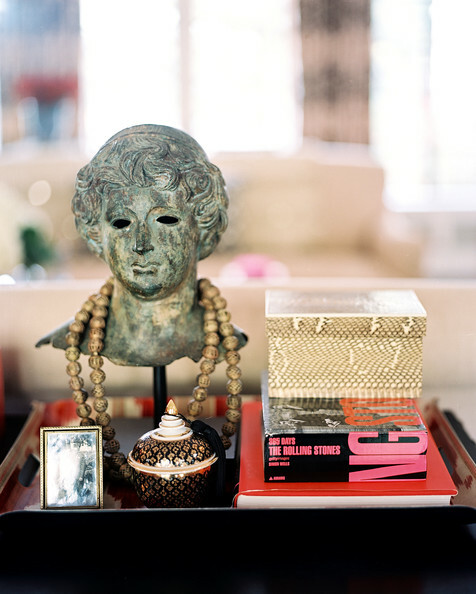 A college girlfriend had one in her room in the sorority house decked out with all kinds of fabulous jewelry. Jealousy to this very day! Love that third one with the hat and scarf - so fun!! I'm with ya on the busts. 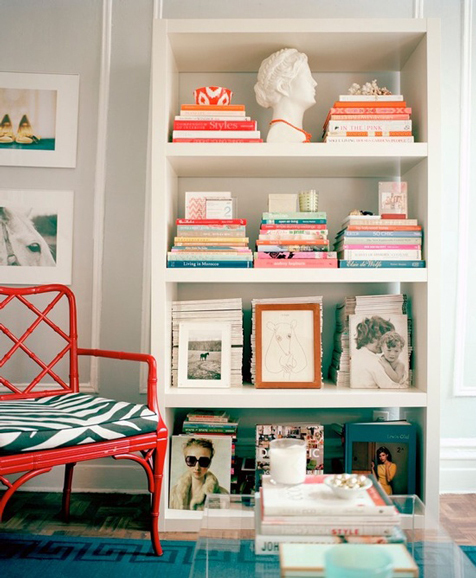 I've been obsessed with Michelle Adams' apartment for quite awhile, so glad to see you included her impeccably styled booshelf in this round up. Good luck on your hunt! OMG the third one slays me! 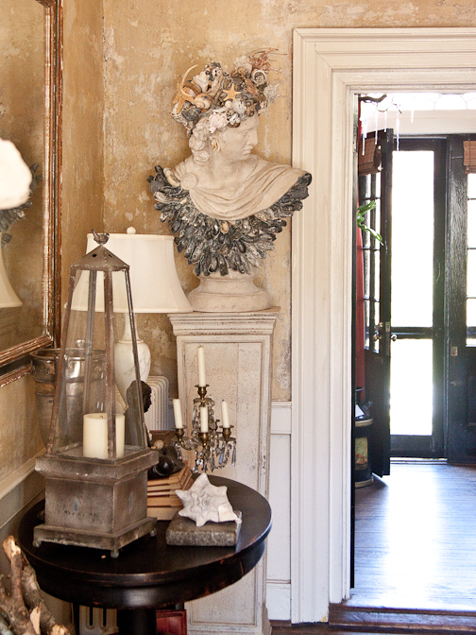 I love decorative busts! Can't use them for staging. People think I'm staging using old yard sale stuff. 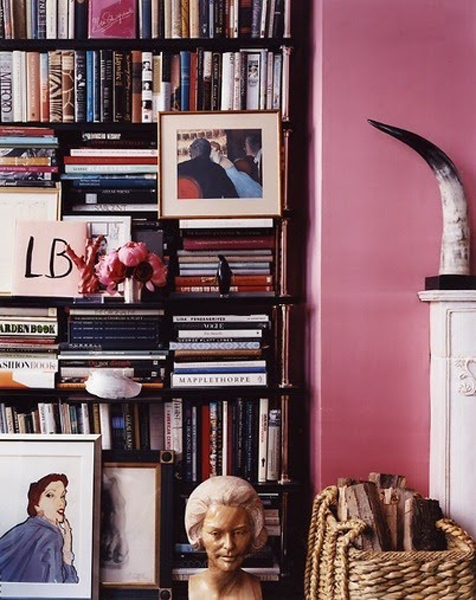 I love this too - mixing old with new, antique with modern interior design - it's chic. 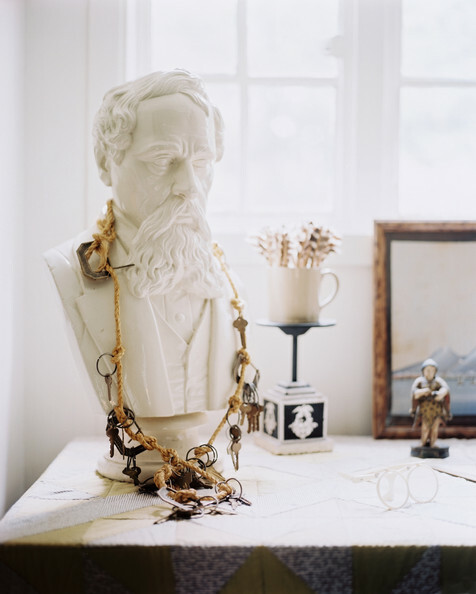 I have a Josephine (as in "and Napoleon") bust on my dresser to display necklaces. Pretty! AGREED. Times two. I want one so bad!! !